KBP>Forgiveness? Trump doesn’t comprehend the meaning of forgiveness: it’s not in his limited vocabulary! 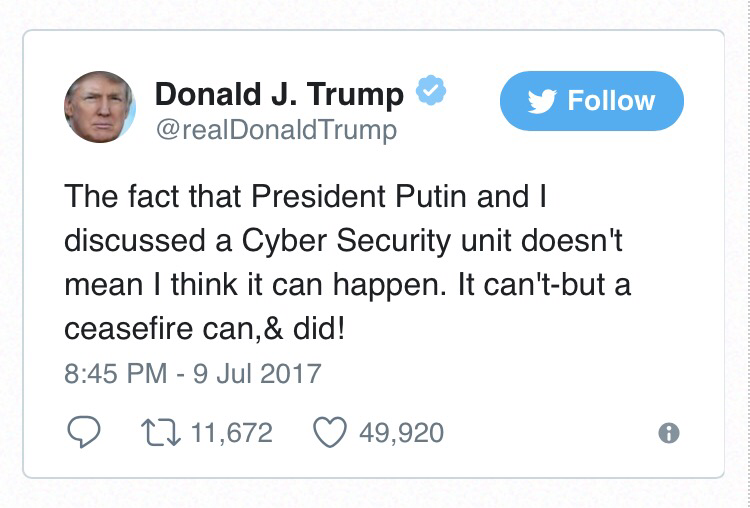 If Trump and Putin talked about unifying a cyber unit then, baby, that’s going to happen – as we all know Trump can’t help spilling the beans – there goes our FREE elections! His little oopsy backsies tweet is fake fake fake from our illegitimate grifter-in-residence.